When you live with an issue every day, think about it most days, write about it once or twice a week, meet others who deal with it every month or so, and every now and then reach the influential with ‘the message’, after all that, it’s all too easy to kid yourself that you’re actually getting somewhere. But not to worry, eventually the evidence trots up like a big bouncy puppy, so pleased with itself that it’s returned with just what you wanted, only to prove beyond all possible doubt that it forgot all about your ball, having been distracted by the bigger, shinier one thrown by your mates. 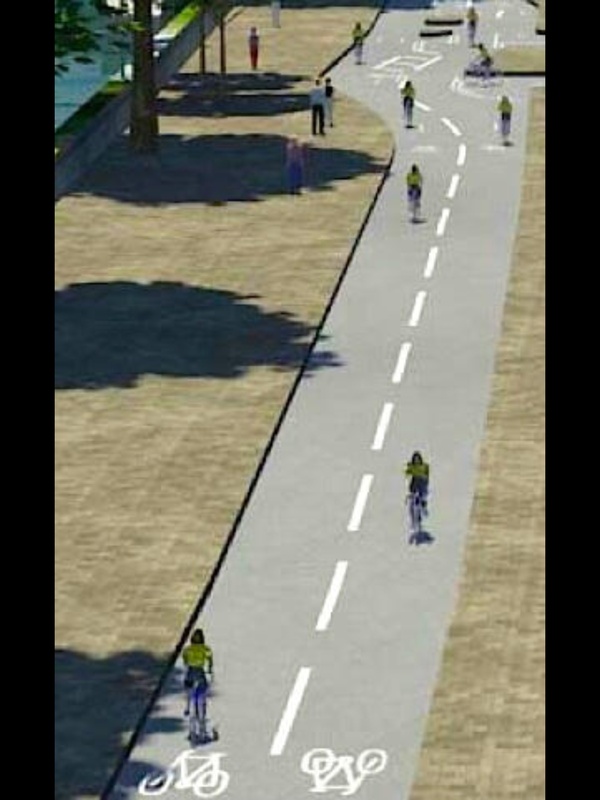 Whether it’s TfL and the Mayor’s Vision for Cycling in London or the CTC’s Cycletopia, the evidence suggests that if and when the able bodied and able minded think about disability cycling they still imagine it taking place in a park or around an athletics track, certainly not on a street or a cycle path. They’re right of course, that is mostly where it takes place, and the rub is that’s where they’re keeping it – safely confined in their collective mind’s eye out of harm’s way. So what to do? Throw in the hand crank or keep plodding on through the crowd of indulgent smiles? Well, like a lame Eeyore, it’s onwards, ever onwards.. The four point plan I knocked up in response to the Get Britain Cycling inquiry isn’t going to cut it on its own. As long as the common perception of cycling amongst those tasked with the job to Get Britain Cycling is being reinforced with images like the one above, handcycles and trikes are going to be forgotten about, and with the help of the five inaccessible kissing gates I came across yesterday on the Bourne Valley Greenway, disability cycling will remain confined to inclusive cycling projects. We need some positive discrimination. Until we have an inclusive cycle network without all of the physical and mental barriers preventing people from enjoying the benefits of cycles as mobility aids, the disabled need to be included in the plans and expectations of all new schemes. As an absolute minimum, an image of a handcycle and/or trike needs to be shown in the plans and design access statements for all new cycle infrastructure. Copy and pasted commuters an inclusive cycle network does not make. 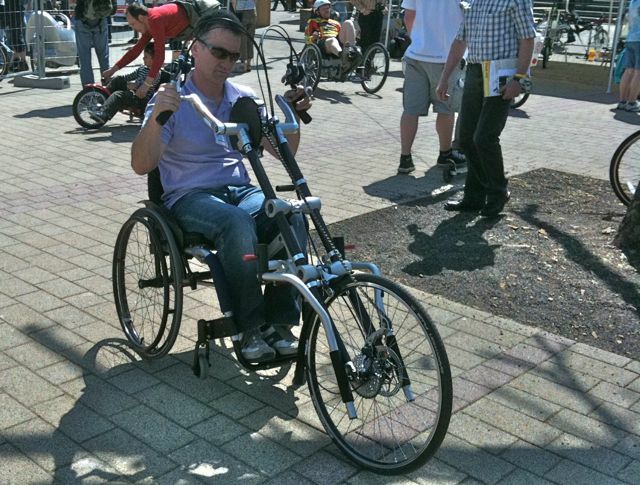 This entry was posted in Inclusive Cycling Forum and tagged bikes, disability, mobility, planning, politics, words on Sun 31 Mar 2013 by kevin hickman. Sweet words from London’s Mayor. Bravo Boris. Not. Aw come on. What’s not to like? 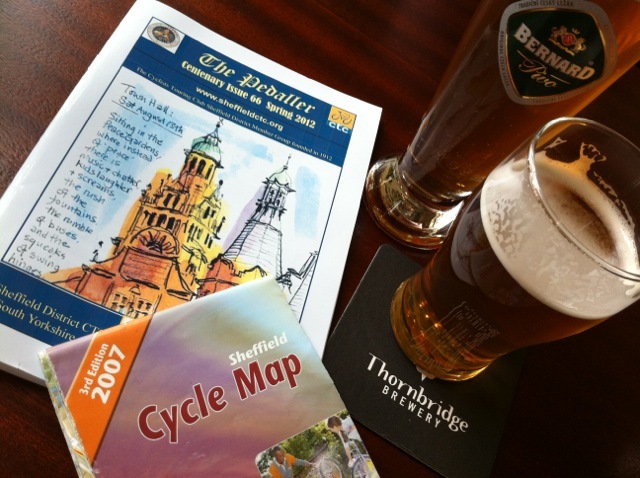 This entry was posted in Inclusive Cycling Forum and tagged beer, bikes, disability, infrastructure, london, mobility, politics, words on Wed 13 Mar 2013 by kevin hickman. This entry was posted in Inclusive Cycling Forum and tagged bikes, disability, infrastructure, politics, roadsafety, words on Wed 6 Mar 2013 by kevin hickman. Cast your eye over Cycletopia for a minute. 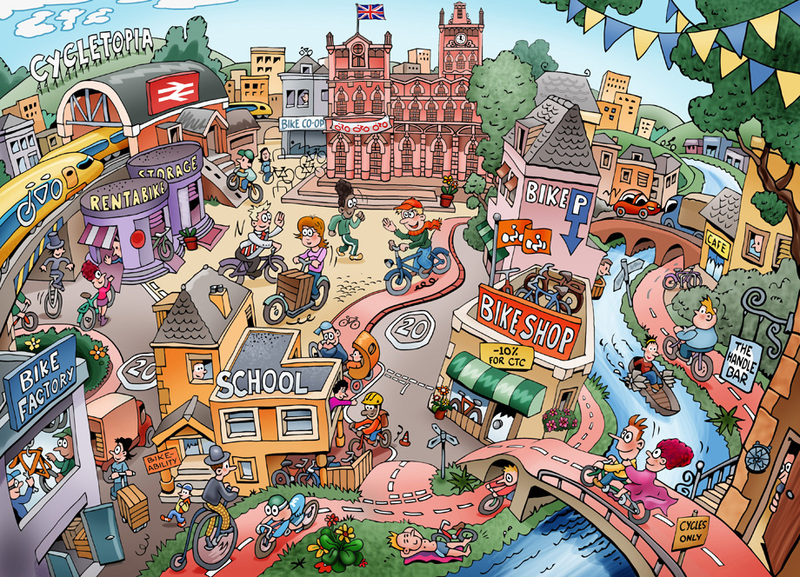 It’s a lovely, fun, graphical way to convey what a bike friendly world might look like. Click on the image to see it full size. Tomorrow sees the beginning of the inquiry into ‘Get Britain Cycling’ and what could be a major step forward in turning dreams into reality. Campaign director Roger Geffen will be there presenting CTC’s evidence to the All Party Parliamentary Cycling Group. 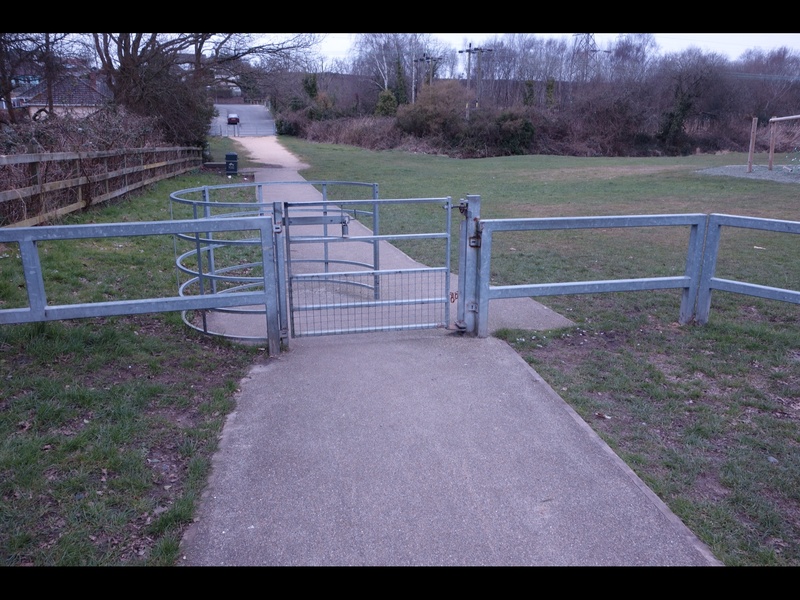 This entry was posted in Inclusive Cycling Forum and tagged bikes, disability, infrastructure, mobility, planning, politics, words on Tue 22 Jan 2013 by kevin hickman. 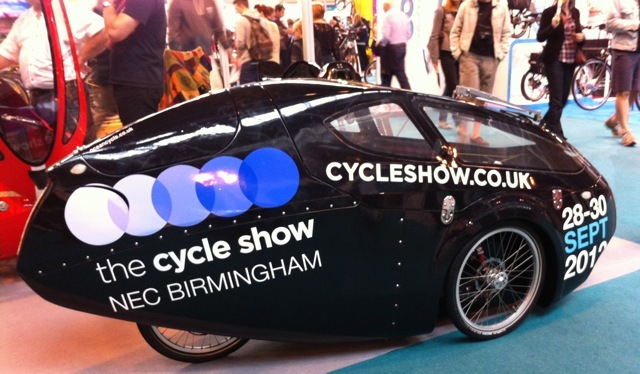 The London Bike Show is running this weekend which reminded me I hadn’t yet blogged about the Cycle Show back in September at Birmingham’s National Exhibition Centre. There’s no ‘inclusive’ theme in London as far as I can see, and being snow bound(ish) in West Oxon I’m not going to get there to find out. Of course it’s not at Earls Court anymore, what with it being developed (which is what I think caused the move to the NEC in 2011), you’ll now find it over at the Excel in London Docklands. Must be quite an expense for smaller exhibitors to have two big shows in the same year, unless the London Bike Show is just that, for and about London. I wonder if Wheels for Wellbeing found a way to have a presence there? 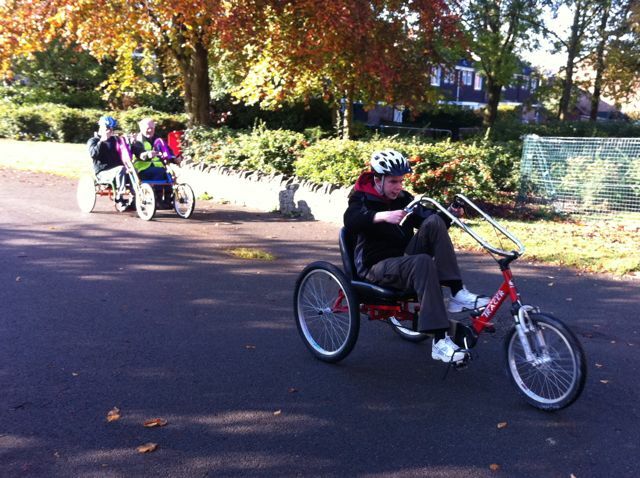 This entry was posted in Inclusive Cycling Forum and tagged bikes, mobility, words on Sun 20 Jan 2013 by kevin hickman. This entry was posted in Inclusive Cycling Forum and tagged bikes, disability, dutch, infrastructure, mobility, video on Sat 15 Dec 2012 by kevin hickman. …3, 2, 1, Thunderbirds Are Go! 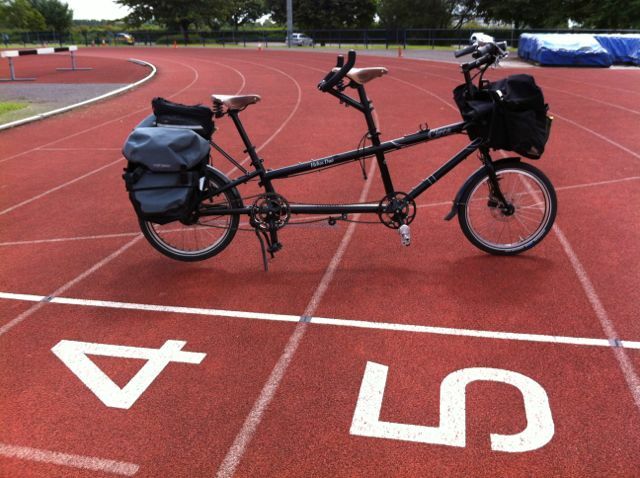 It’s Horspath Athletics Track rather than Tracey Island, but the tandem does look FAB. This entry was posted in Inclusive Cycling Forum and tagged bikes, disability, mobility, review, wheels4all, words on Sun 23 Sep 2012 by kevin hickman. Ruth came back to visit us at the Horspath athletics track this month. 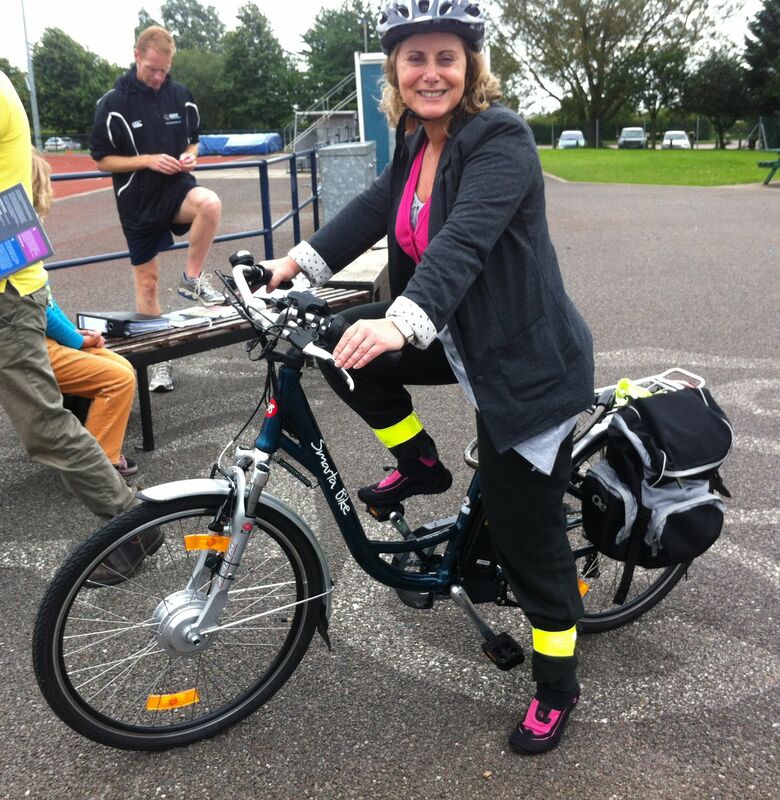 She’d come along to Wheels for All as a punter the previous month to see what other options there are for cycling. This entry was posted in Inclusive Cycling Forum and tagged bikes, disability, wheels4all on Mon 27 Aug 2012 by kevin hickman. It’s started! The first day of Wheels for All in Oxford and I’ve got a long list of questions about adaptations, suppliers and costs. One in particular is about handcycles for commuting. My first port of call is the Handcycling UK site which to my delight has been revamped recently to include everyday utility cycling and commuting, along with a post in their forum about that first purchase. Any advice from users and/or other suppliers gratefully received. 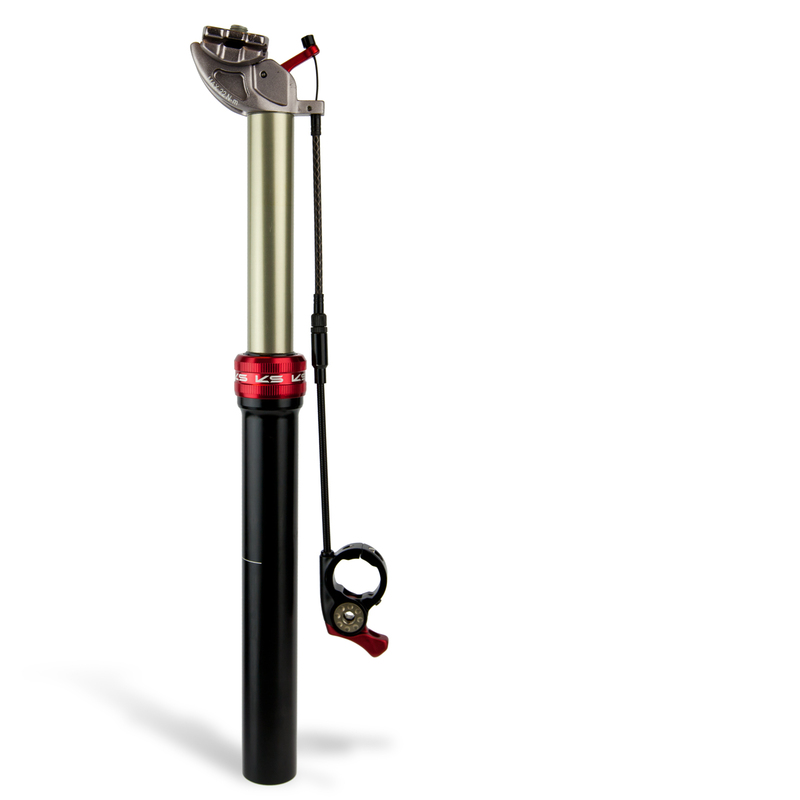 And I’d be interested to hear from anyone who has used a Berkelbike, whether just hand or hand & foot cranked. This entry was posted in Inclusive Cycling Forum and tagged bikes, disability, mobility, wheels4all, words on Mon 21 May 2012 by kevin hickman. …lived up to its billing on Saturday – the official estimate being 10,000+ people on bikes calling for the London mayoral candidates “to commit to continental-standard cycling infrastructure in the capital.” Or simply, “Love London – Go Dutch“. It would’ve been more too, had it not rained all day. It didn’t once get to a point where I thought it was time to take my jacket off and display our Inclusive Cycling Forum T-Shirt. The Wheels for Wellbeing tabards are definitely the right all-weather solution! 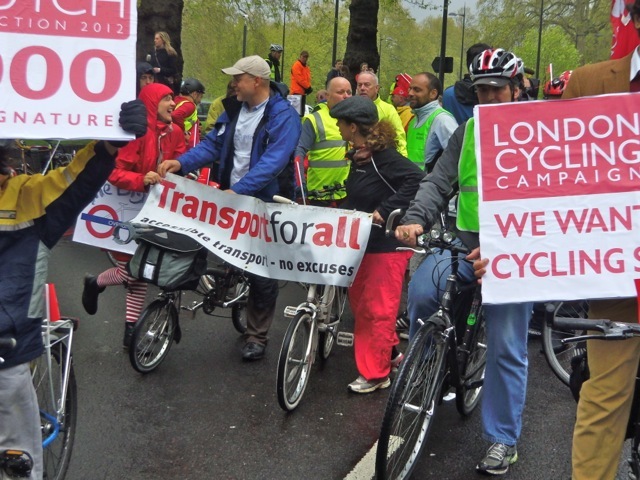 This entry was posted in Inclusive Cycling Forum and tagged bikes, disability, infrastructure, london, mobility, politics, words on Mon 30 Apr 2012 by kevin hickman. Following on from the Wheels for All day in Cutteslowe Park, Oxford, Cycling Projects brought their bikes to Queens Dyke School in Witney for a taster session run together with volunteers from Witney Mountain Bike Club and Witney’s Bicycle User Group. For those that couldn’t make it Steve and Luke produced this short video of the bikes being used on the day. Along with Wheels for All in Oxford, and the Oxfordshire Sports Partnership, the next steps are to find a more suitable venue and plan regular sessions beginning in Spring 2012. 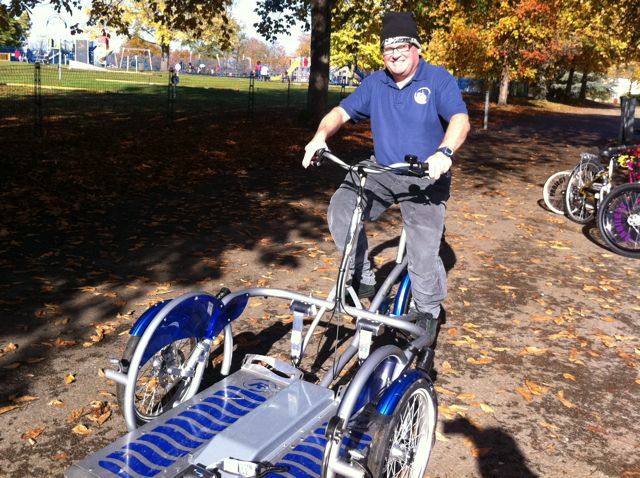 This entry was posted in Inclusive Cycling Forum and tagged bikes, disability, kids, video, wheels4all, witney on Sat 19 Nov 2011 by kevin hickman. An inclusive cycling centre for Oxford came another step closer on Friday. The mobile Wheels for All team brought a selection of bikes to Cutteslowe Park for a day session and those trying them out, along with parents, carers and physios, made it clear that they want this to be a regular event. Despite there being about 50 Wheels for All centres in England and Wales there are many areas that lack provision, Oxfordshire being one of them. Cycling Projects, the charity behind Wheels for All, are helping to demonstrate to community groups what inclusive cycling is about and what’s on offer with these ‘taster’ days. The team brought a variety of trikes and handcycles, a tandem and a Van Raam wheelchair transporter, but even so, a few people couldn’t find something that completely suited them on the day. Not because that something doesn’t exist, just simply because not every variation of all ability cycle can fit in the van. On the bright side, it highlighted the fact that the day attracted a wide range of both abilities and ages. These sessions don’t run themselves and it’s just as important that volunteers and sponsors get a chance to see how it works and how worthwhile it is. The Oxfordshire Sports Partnership will need local support to get these centres up and running in 2012. If you live in Oxfordshire but couldn’t make it into Oxford on Friday, there’s another taster day in Witney in two weeks time on Saturday 12th November. This entry was posted in Inclusive Cycling Forum and tagged bikes, disability, mobility, oxford, wheels4all, words on Mon 31 Oct 2011 by kevin hickman.